Jim Carey, is that you!? 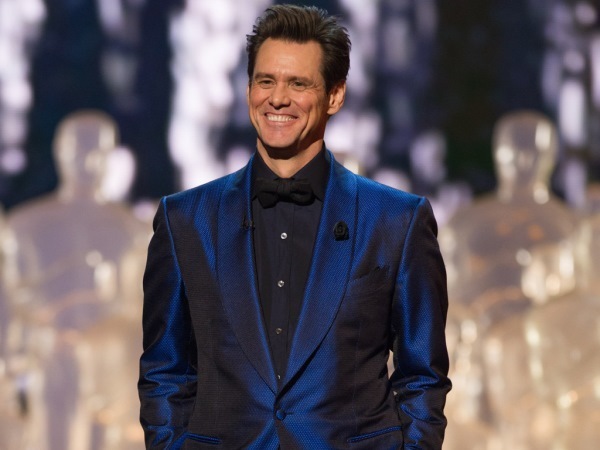 Jim Carrey's Easter selfie certainly got the Internet talking - and it wasn't because of the cute bunny rabbit he was holding. "I HAD TO LOOK AT THIS PICTURE FOR FIVE MINUTES BEFORE MY BRAIN UNDERSTOOD THAT THIS WAS JIM CARREY," one stunned fan tweeted. "This man's beard is so glorious it makes me feel warm and fuzzy," another follower wrote. Rather than dissing it, most people seemed to like his shaggy look complete with long, grey beard with many comparing it Tom Hanks' character in Castaway. "That beard and bunny combo is my motivation or life," a user wrote. "I will be that cool one day." Meanwhile, the star of such movies as The Mask, Bruce Almighty, and The Incredible Burt Wonderstone issued a sweet message of his own to his 15 million followers. "Happy Easter or Passover or whatever reason you can find to feel warm and fuzzy," he penned. The 55-year-old star has been keeping a low profile in recent years, having endured a highly publicized scandal after the suicide of his girlfriend, Irish actress Cathriona White in September 2015, which her family blamed on him, saying he provided her with prescription painkillers. However he has two movies coming out this year: The Bad Batch - a dystopian love story about a community of cannibals set in a Texas wasteland and co-starring Keanu Reeves, Jason Momoa and Suki Waterhouse - and True Crimes, a crime-drama based on the 2008 article "True Crimes - A postmodern murder mystery" by David Grann.